The last time I went to Indonesia, i took home mie keriting, candle nut, a bunch of mixes, sauces, and spices. But one thing I didn’t know that vanilla beans should have been part of that list! 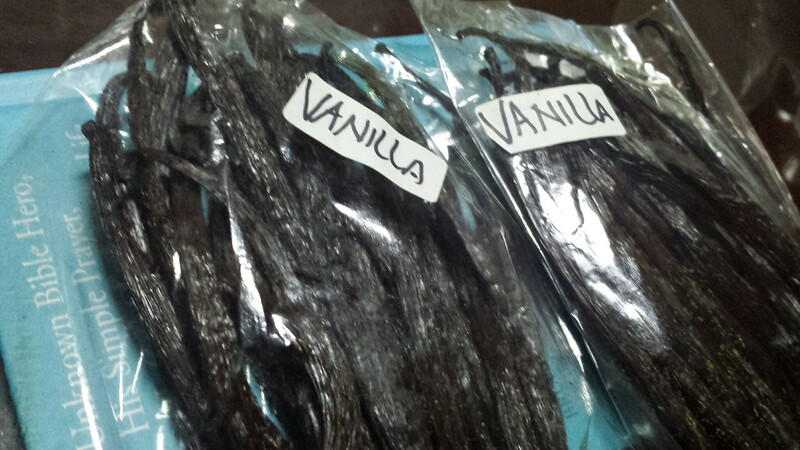 I have only once bought a vanilla bean, but I was so intent on keeping it that I used it once and tried to make vanilla extract with it. TRIED. I don’t remember what happened with that. If the potency was good or not. But I did end up using the flavorful vodka in my recipes. Wow 10$ ?! 5$ gives me 2 here. It is a steal! I am happy to have discovered it available there just right before my friends went! I went there twice in a year and didn’t even know about that then!